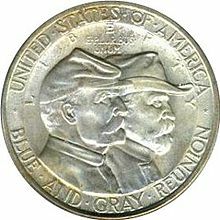 The Battle of Gettysburg half dollar was designed by Frank Vittor and minted in 1936. ^ 2013 U.S. Coin Digest. Books.google.com. p. 188. Retrieved 2017-03-13.